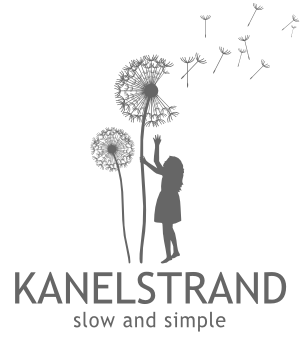 Kanelstrand: Setting up a Simple Lifestyle: What's Right for You? Setting up a Simple Lifestyle: What's Right for You? This post is written by contributing author Vanessa Williams. I talk a lot about simplifying your life, including minimizing your belongings, to cut down on financial responsibilities. But the truth of the matter is, unless you are a nomad, you likely have to earn a living somehow. The question of HOW you earn a living has always been a difficult and complex one. “What do you want to do with your life?” a question posed to us at a young age, is a big one. The answer here in the States used to be get good grades, go to a four year school, get a degree, and get a job, working there for a significant amount of time. The recession has broken this equation leaving many with degrees, and a lot of debt, but no job or career to speak of. I have watched this happen from the front lines when I worked in economic development. This swift change has sent businesses, government agencies and small business support centers reeling. To be honest, no matter what the talking heads on TV say, no one really has the answers. I have had very intelligent officials who have been on the forefront of workforce development for decades tell me flat out “I don’t know what to do.” These are interesting times we live in. Savvy young people have begun to re-examine the standard get-a-job equation. What is the true value of higher education? Is it worthwhile working for someone else, leaving your fate in someone else’s hands and running the risk of getting laid off? Thus we’re undergoing a bit of an entrepreneurship revolution. Working for someone else doesn’t have the safety it once did, and the risks and start up costs of opening a business are getting smaller every day thanks to technology. I stumbled across this infographic the other day that really examines the risks and benefits of working for someone else vs. working for yourself. It’s important to point out that whatever career path you choose, you must choose one that fits your lifestyle. If you’re single long hours and a heavy travel schedule may not bother you, but if you have a family at home you may want something with more standard hours. If you work for yourself you have the benefit of setting your own schedule. This can be a blessing and a curse, as small business owners rarely can leave work. All responsibility lies on you, making it a 24/7 commitment. Many entrepreneurs find themselves answering emails late at night after the rest of their family has gone to bed. Workflow is something that many don’t think about when considering working for themselves. When you work for someone else generally you are receiving steady work that is handed down to you. When you work for yourself you are suddenly responsible for finding work and maintaining good client relationships. This is a skill that not everyone has. You have to have hustle, be responsive and have attention to detail. Finding clients and keeping them happy will determine if your business sinks or swims. This weighing of risks and benefits of both is something I am intimately familiar with since I’m in the thick of it at the moment. I was let go from my employer a year ago and have toyed with the idea of going into business for myself. I’ve hesitated because of the risks involved, but our household equation has changed - my husband has a full-time permanent job and we have a baby on the way. Thus the stars have finally aligned and I’ve decided to take the plunge into the wonderful world of consulting. Since I worked in economic development I am acutely aware of the necessary steps I need to take to open a business, and have a long list of contacts and support at my fingertips. That, coupled with the fact that I have had potential clients beating down my door for a year now, gives me the confidence to know I can succeed. In the end, no matter what you decide is best for you, remember that one equation will always hold true in the working world: your time = money. Just make sure that whatever time commitment you make to earn a living, it is one you are comfortable with. We all reach a certain threshold, usually slightly above where necessities are met, where earnings have much less value and spending time how you want to with friends and family far outweighs a bigger paycheck. Choose the life and career you want to lead. You’re in the driver’s seat. No one knows the right path but you. Vanessa Williams is the author of A simply good life where she explores how lower standard of living doesn’t mean lower quality of life. After her decision to get off the beaten track and forge new paths she has found that living with less actually means living with more. Vanessa explores the luring and dangerous grounds of the consumerism trap and offers a solemn and wise account of her real life experiences on the quest to finding what truly matters in life. Connect to Vanessa via twitter and facebook. Very interesting information. Thanks for the post. This is a wonderful post. I just became self-employed full-time in June. And everything you mentioned is very true. I was laid off from my job back in 2009...I had worked there for 7 years! I did get called back after 6 months, but I hated my job. I've decided to choose a path of self-employment because I want to do something I love and believe in. I had occasionally worked as a typical employer since high school and I liked it at first, but now I know I would be unhappy with 9-5 job. I'm a fighting and eternally curious type of person, so I believe I could make it on my own. This really rings true for me! I got my degree like I was "supposed to" and then it never lead me to a real job. It was a complete financial dead-end, AND I was really unhappy doing it. I became self-employed last November and it was the best decision I ever made. It's definitely not for everyone, but for someone like me who has a lot of creative energy to get out, it was much better than being trapped in a cubicle. Some of the statistics are amazing, aren't they? Great post! I chose self-employment because I needed to be a stay-at-home mom when my son was diagnosed with severe eczema at 6 weeks old. Before that, I had a cubicle job and it was SO not fun at all! what an informative post ...thanks for all the stats & encouragement! !